There is something about doll collecting that is addictive. With Blythe it’s three fold for me. The dolls, the clothes, the shoes. Oh, the shoes! What probably doesn’t help is that there is always a new release of some sort, followed by the latest in fad customs, well-made tiny fashions, and did I mention the shoes? Due to the social aspect of Blythe, it’s hard to avoid seeing photos of someone’s new dolls or new doll related purchases, which really drives the keeping up with the Joneses factor of the hobby. With that in mind, when does enough become enough? Blythe, like many hobbies, is a luxury. I had a conversation a while back with a friend in the hobby who was upset as she had to go without buying a new doll because her child (her real-life, flesh-and-blood child) had a growth spurt. And due to this growth spurt, that money earmarked for a new Blythe was going to have to go towards clothing her child. While I had heard people joking in the past about needing to eat instant noodles for a week to make up for the fact that they bought a new doll, it also didn’t occur to me that for some people this isn’t a joke. Because Blythe is a hobby, that means it show rank lower than necessities: shelter, heat, electricity (because if you didn’t have electricity and internet and a computer, you would not be reading BlytheLife right now! ), food, clothing (for you and your children), transportation, and a whole host of other things. If you’re getting upset over needing to use money to clothe your growing child (and, let’s be honest, I think most people would say that a child experiencing a growth spurt is a good thing) instead of buying the doll that happened to catch your eye that one day, maybe it is time to step back and reevaluate your spending – or go on a budget, as it were. 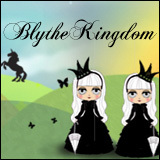 The nice thing about Blythe is that it can be as expensive or inexpensive as you’d like. Some people create everything for themselves, while others find themselves with a mixture of self-made and bought clothing and shoes. The important thing is to not get too carried away with the spending. While it may be fun to get lots of packages in the mail (and I love getting packages in the mail!) it can be also very easy to get carried away or forget that yes, you do need to pay off your credit card bill eventually. 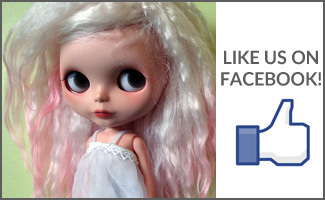 It can be easy to get caught up in buying new releases, new customs, whatever customs happen to pop up on Facebook, but it is important to remember that Blythe is a luxury hobby because is not a necessity. Spend wisely, and save up when you need to. If it was meant to be, you’ll eventually wind up owning that doll or dress or whatever it is that you want. And if not, then something else will come along and catch your eye. Alternatively, you could find yourself in a cycle of buying and selling, which for the fickle collector may be the route to go if you easily tire of what you already own and enjoy the aspect of trading. I think Blythe addiction is like any other … a form of retail therapy that is even more satisfying than the latest fashion because at any given time, you can look up on that shelf and see that sweet little face (or faces). They become like little friends who are always there for you. Even those amazing pumps you scored on clearance can’t compete with that. Being overweight and stuck home with an elderly family member and multiple health issues, I tend to live vicariously through my dolls, dressing them up and buying them shoes that I could never manage to wear, lol. But I do my best to keep my purchases in check. My husband and I develop a new budget each month based on our income and what needs attention, like auto maintenance, so that we never go into debt ever again. At our age, that is very important. I do my best to keep my priorities in line by fleshing out my ideas in advance and keeping a list of what I’d like to buy vs. make for each project and keep it handy. That makes it easy to resist those impulse buys. As for dolls, I tend to curate my collection carefully, based upon the clothes that I want to create for them. I don’t allow myself to give into impulses. If I really truly can’t get an item out of my head, then I may indulge, but I give it some time. If an item is snatched up before I can get to it, then it just wasn’t meant for me. I rarely regret missing out on something. Keeping up with the Joneses was never one of my things. In fact, the few times I’ve read those confession sites, I gagged at the comments that dissed on someone because they didn’t own any Kenners or only had an LPS instead of a proper Petite. How shallow must someone’s life be that they judge someone based on that type of criteria. I hope people aren’t spending their retirement and/or emergency funds trying to keep up with silly, shallow goofballs. 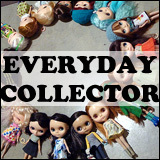 I’m an obsessive collector and dolls are definitely my most expensive hobby. When you’re addicted to something, that something may seem like a priority when it’s not. And while there may be more important things in life than buying dolls, when you’re single, have no kids, still live with your parents, and work only for yourself, then I believe you can indulge a bit more in your passions (in this case dolls) as compared to when you have bigger responsibilities. Of course, always spending wisely, working on a budget, and saving money. I remember a Flickr friend a few years back buying and selling Blythes so often I thought she had some kind of obsessive-compulsive disorder OR a crazy addiction (to what exactly, I’m not sure…) she was trying to feed. I think collecting can be very addictive in general! When your brain tells you that you “need” something and it rewards you with dopamine, it can be easy to fall into patterns and hard to get back out of them again. I do find it funny that Blythe has such an extreme “you can’t only have one” thing going for it. WHAT EVEN IS THAT BLACK MAGIC!